Since the program launched in 2008, Samuel Adams Brewing the American Dream, in partnership with Accion, has provided $1.9 millionÂ in micro-financing to more than 220 businesses nationwide, coached over 3,000 small business owners, and created or saved nearly 1,400 jobs. Since expanding intoÂ South FloridaÂ in 2012,Â the program has provided loans to seven small businesses including Kip’s Mix. Miami native Kipri Johnson is a full-time paralegal as well as a mentor to young female entrepreneurs. 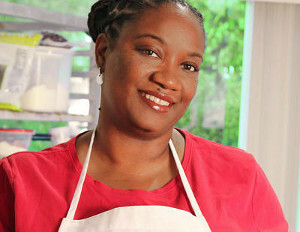 She’s also the founder of Kip’s Mix (www.kipsmix.com), a baked goods business that’s been operating for more than three years. Kip’s Mix is a perfect example of the type of business Sam Adams’ hoped to assist with their American Dream program. Johnson turned to the Samuel Adams program for help when her business needed capital. Kip’s Mix received a loan to purchase new baking tools as well as an airbrush tool kit for cakes, breads and other baked treats. WhileÂ South Florida’s economy saw some improvement in 2012, local media reports have indicated that the region has at least another year before it will experience a healthy recovery. With these numbers in mind, theÂ Samuel Adams Brewing the American Dream program will host its first annual speed coaching event inÂ South FloridaÂ in partnership with micro-lender Accion. With a focus on small businesses related to food, beverage, craft brewing, and hospitality, the program uniquely combines financing with hands-on coaching and mentoring to help entrepreneurs achieve their dreams of successful business ownership. The speed coaching event will take place onÂ Monday, March 18th fromÂ 6:00 p.m.Â —Â 8:30 p.m.Â at the La Jolla Ballroom (301 Alcazar Avenue,Â Coral Gables), and coaches will include Samuel Adams employees and local business experts. 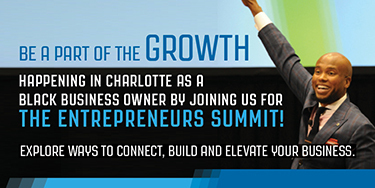 Business owners attending the event will have the opportunity to participate in up to six high-impact personalized 20-minute sessions intended to address their specific problems and concerns. Small business owners can sign up for the Miami speed coaching event atÂ http://samadamsbtadmiami.eventbrite.com/#.